I have lived in Avonmouth for 68years. It is only in the last 5 or so years that we have had a fly problem, this problem has without a doubt been caused by the many recycling plants that have been encouraged to set up in Avonmouth. Some of these plants , which are poorly run (New Earth Solutions,Geneco, Wessex Water etc,) and poorly regulated by the Environment Agency. 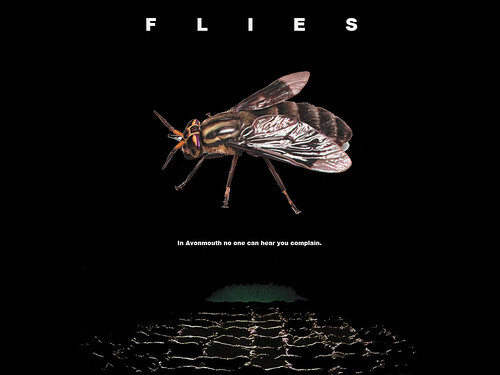 are responsible for the huge numbers of flies we are experiencing year after year. (they also regularly create an obnoxious stench over Avonmouth and Lawrence Weston that council officers have not been capable of tracing) Other recycling plants (Sims Metal Mismanagement, Bristol Port etc ) are responsible for the dust that covers our window sills, cars in fact our village. It is no longer acceptable for residents to be fobbed off by Council officers,Councillors our MP Darren Jones and the Environment Agency. It is now time for all of them to take some action and use their collective powers to prosecute the polluters. What I find hypocritical is the last Mayor (Ferguson) was supposedly some kind of Green and his deputy (Hoyt) was a Green. Yet these people did nothing for the people of Avonmouth…why did they not stand up for people being polluted by industry? The same is true of Rees and Craig, why won’t they enforce the environmental laws? Is it because the Mercant Venturers run the Port Authority?